BETHLEHEM, Pa. – Bethlehem Steel FC announced on Monday it first addition of the offseason, with 2016 USL Rookie of the Year Brandon Allen joining the club for the 2018 USL season. A native of Old Bridge, NJ., the 24-year-old joins Steel FC after spending two seasons with the New York Red Bulls. 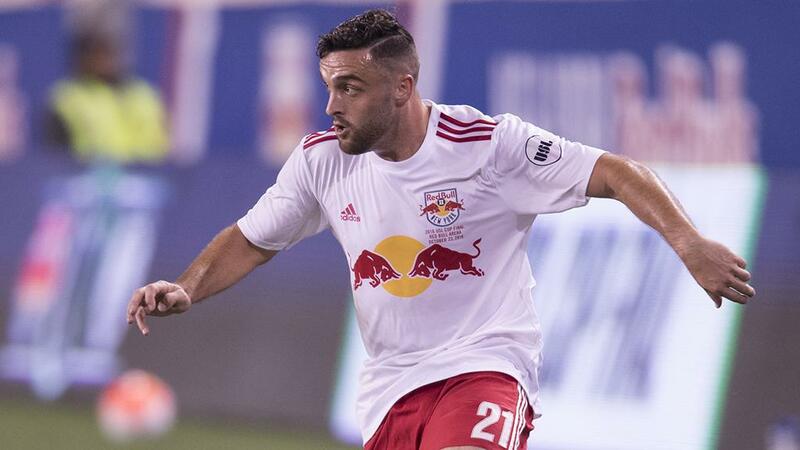 A former Homegrown Player signing, Allen was also named to the 2016 USL All-League Team and earned 2016 USL Cup Most Valuable Player honors as he helped lead the Red Bulls II to both the USL Regular Season Championship and the USL Cup over the course of his first professional season. Allen scored 30 goals in 47 games across the USL regular season and USL Cup Playoffs since the start of the 2016 season, including nine goals in 15 appearances last year before he was sent on loan to Major League Soccer’s Minnesota United FC. Allen’s six goals in the 2016 USL Cup Playoffs set a single-postseason high in the league’s modern era. Prior to signing with the Red Bulls, Allen featured prominently at Georgetown University alongside Philadelphia Union defender Keegan Rosenberry, notching a stellar four-year career where he earned 90 starts. During his time with the Hoyas, Allen became the school’s all-time leading scorer with 50 goals while adding 17 assists. Allen also competed in the Premier Development League for the Baltimore Bohemians, and has represented the United States at the U20 and U18 levels.